Both the Athletics and Mariners will play Japanese teams in exhibitions on March 17 and 18. NEW YORK — The Oakland Athletics and Seattle Mariners will play an opening two-game series in Tokyo on March 20 and 21, the fifth time Major League Baseball will start its season in Japan. Major League Baseball said Tuesday that Oakland will be the home team for both games. Both the Athletics and Mariners will play Japanese teams in exhibitions on March 17 and 18. 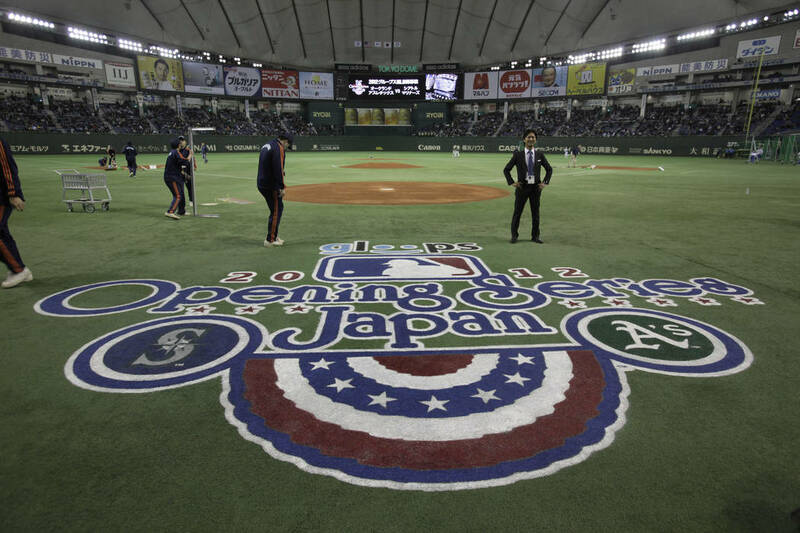 The A’s and Mariners also faced each other in the last opening series at the Tokyo Dome, splitting two games in 2012. In addition, MLB announced a postseason All-Star tour of Japan from Nov. 8-15 this year that includes four games in the Tokyo Dome, one at Hiroshima and two in Nagoya. The opener will be against the Central League’s Yomiuri Giants and the remaining games against a Japanese All-Star team.